I have some new friends; Becca at Love, Laughter, andLiteracy (and that’s just one of her blogs) and Mrs. Tolbert at Daisy Days forLearning- you should venture over and introduce yourself. I’m sure they would love to have you as friends too. I think they have heard all about how wonderful this teaching blog community is and they just had to see for themselves. I’ll bet they have heard how nice and sweet that other teacher blogger named Tammy at Forever in First is. 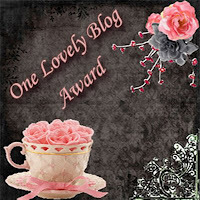 She gave me a super sweet blogging award for being a lovely blog, but the secret is SHE is the lovely one. I’ll bet she will be happy to be friends with my new buddies too. And have you seen the super cute Pirate AR pack Jennifer has made over at The Teacher’s Cauldron? I swear that girl is amazing. She just had a baby, has a toddler, just went back to work, and she still finds time to make super cool units to sell at her TpT shop. AHH-MAZING. Thank you, thank you! That was so nice of you! By they way, did I mention how adorable your cooking graphics are?